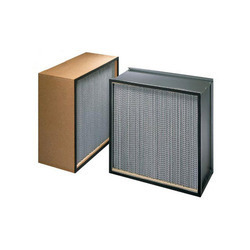 Providing you the best range of pre-filter, hepa filter, high temperature hepa filter, air filter, fresh air filter and mini pleated hepa filter with effective & timely delivery. 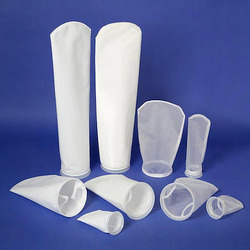 We offer’s Pre-Filter With synthetic non woven media / HDPE (nylon) mesh, these filters designed for 3 to 5 microns with an efficiency of more than 98 %. 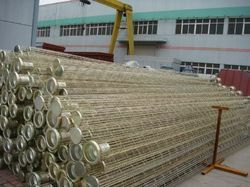 Close pleated design for more life and rod type design for higher strength are the usual designs available. All these filters are washable and hence reusable. Normal sizes available are with mild steel painted / stainless steel and aluminum / g. I, casings these can be supplied in box design or flange type as per the fixing needs. These micro fine filters are made to confirm the international standards ashrae. 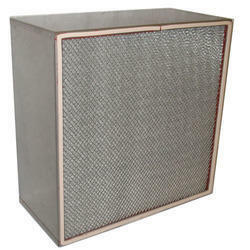 We manufacture and supply a wide range of HEPA Filter that is used for environmental air cleaning and in ventilation systems. 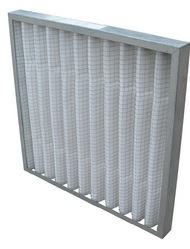 The offered air filter removes solid particulates such as dust, pollen, mold and bacteria from the air. 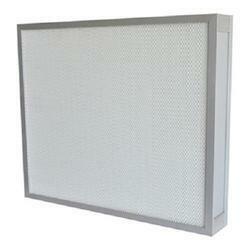 This range of HEPA Filter is made by using optimum quality raw material. 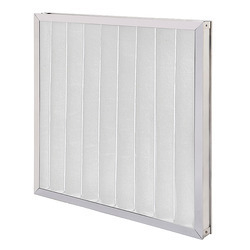 Further, this HEPA Filter is available at the most reasonable rates. 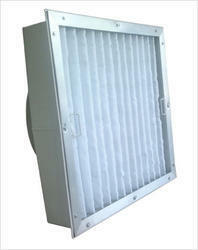 We are providing wide range of Air Filters to the clients. This product is mostly used in industries for air handling applications. This product is manufactured by using premium quality raw material and sophisticated technology. This product is available in different specifications to meet client’s diverse requirements. 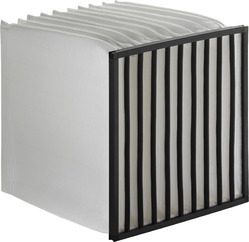 We are offering wide range of Mini Pleated Hepa Filter to the clients. This product is available in different sizes to suit individual client’s requirements. This product is used in industries like pharmaceutical and hospitals for filtration of moisture and dust particles accurately. Mini Pleat HEPA Filters that are required to maintain ultra clean process environments in state of the art manufacturing facilities. Typical applications can be found in microelectronics, semiconductor manufacture, medicine, chemistry, pharmacy, microbiology, film and magnetic tape production, compact disk manufacture, laboratories and the food industry. We offer our clients an optimum quality range of Fine Filter which is installed by our skilled professionals using the advanced technology in accordance with the set industry standards. Owing to its long service life and easy installation features, this filter is widely demanded among our clients. Furthermore, in order to ensure the best quality, the provided filter is strictly tested by our skilled quality controllers on various quality parameters. We are engaged in providing our clients Filter Bag (Bag Filter) with utmost quality. Our offered bags are designed using the finest quality fabrics by our qualified professionals and contemporary technology. These bags are widely acclaimed by the clients for their superior finish. Moreover, our offered bags are delivered to the clients within committed time. 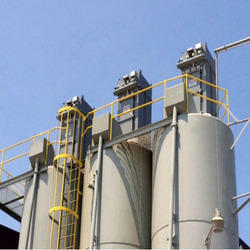 We are engaged in offering a wide range of Dust Collector Cage to our valued customers. The offered cage has gained acclamation for long working life. This cage is designed using quality materials. Our offered cage is easy to maintain. The offered cage is available in varied sizes and lengths. Further, we offer this Dust Collector Cage in various specifications to fulfill diverse needs of our clients. 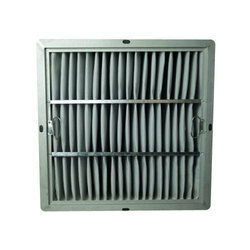 Our competency lies in offering our clients an excellent quality range of Vent Filter. Sourced from reliable vendors, the provided rolled filter is manufactured using quality assured raw material with the aid of cutting-edge technology in sync with set industry standards. This filter is used in dusting systems for controlling pollution. In addition to this, the provided filter undergoes different quality checks in order to ensure its flawless delivery. We Offer’s unique synthetic grade Pocket Filter which can be used as a pre-filter or as a final filter. Due to its high dust holding capacity and robust pocket design it is particularly suited for difficult operating conditions, including variable air volume, turbulent airflow and repeated fan shutdown. When used as a pre-filter, it protects higher efficiency filters from unnecessary dust loading, prolonging their service life: as a result, the frequency with which final filters need to be changed is reduced - increasing the cost effectiveness of the air conditioning system. 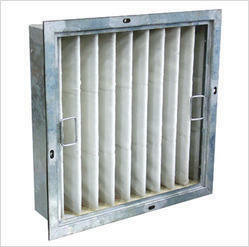 Looking for Fresh Air Filter Equipments ?